A lightweight LES PAUL-ES with killer low end tones. 2015 Gibson Memphis Custom Shop ES-LES PAUL Limited Edition - Cobra Burst. Brand new, 100% mint, not been a demo in a store. Only 200 produced. The first time you experience the Gibson Memphis ES Les Paul semi-hollowbody electric guitar's majestic, airy tone, accented by a subtle hint of crispness, you'll be positively captivated. 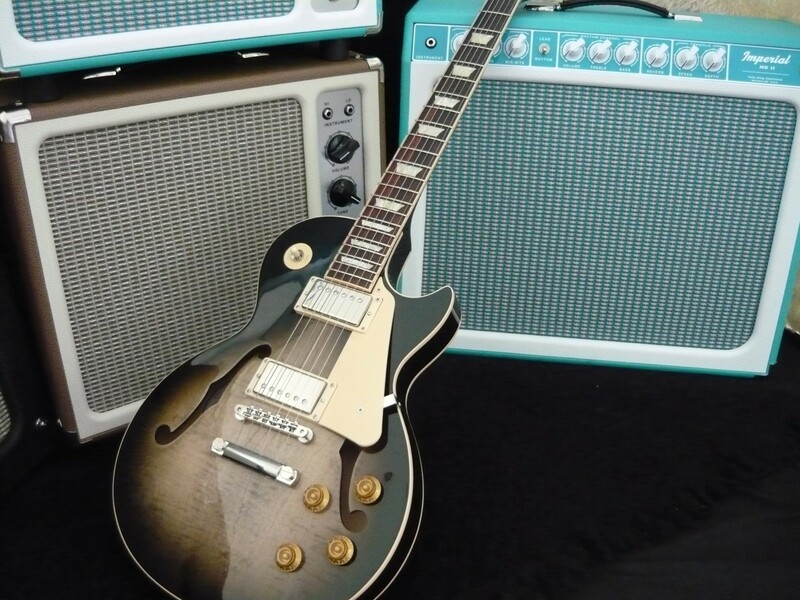 Twin MHS [Memphis Historic Spec] humbuckers enhance the vintage quality of this irresistibly unique Les Paul. Rolled neck binding and low-profile frets make this an exceptionally smooth, fast-playing instrument. The Gibson Memphis ES Les Paul semi-hollowbody is a rare treat. Loaded with a pair of Memphis Historic Spec (MHS) alnico humbuckers, which are based on '50s era pickups and designed to enhance the sound of semi-hollowbody guitars, you'll be able to dial in chiming country tones as easily as savagely distorted rock tones. The Alnico III neck pickup gives you classic hollowbody-style tones for everything from smooth jazz to dirty blues. Flip to the Alnico II bridge pickup, and you'll command sounds covering everything from bright and clean to raw and mean. Handbuilt at the Gibson Memphis Custom Shop, this guitar features premium craftsmanship and carefully selected tonewoods that give you amazing playability and tone. 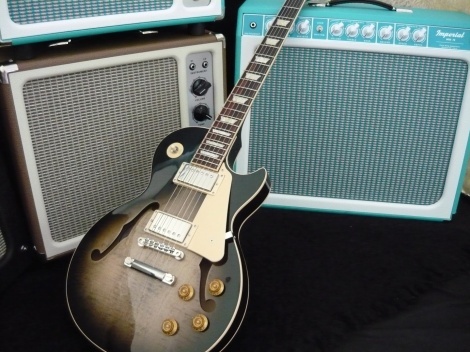 Countless jazz, rock, and blues players have used Gibson hollowbodies for decades.